Despite significant challenges, the Solomon Islands has made significant progress in developing its private sector. Photo credit: ADB. Not long ago, female farmers in the northern Solomon Islands sold their vegetables for minimal profit in the central market of Honiara. After they set up their own company, some of the farmers were able to collectively sell fresh fruits and vegetables to a leading hotel in the capital for greater profit. The women benefited from a series of business law reforms in Solomon Islands that introduced the concept of community companies. These consist of groups, such as farmers, landowners, or women’s organizations, which use community assets in the form of handicrafts, fishing boats, or local crops. A company is formed to direct the profits of these activities toward an agreed community goal, and to preserve the community’s assets for future generations. This has empowered women and people in vulnerable situations to set up small businesses and contribute to the country’s economic prosperity. As part of these reforms, Solomon Islands’ business registry is now able to accept online applications for company registrations. Previously, company registrations used to take about 10 days; now, new registrations can be done in just 24 hours. These reforms were introduced as part of the Pacific Private Sector Development Initiative, financed by the Asian Development Bank (ADB) and the governments of Australia and New Zealand, which is making it easier to do business in ADB’s 14 Pacific developing member countries. 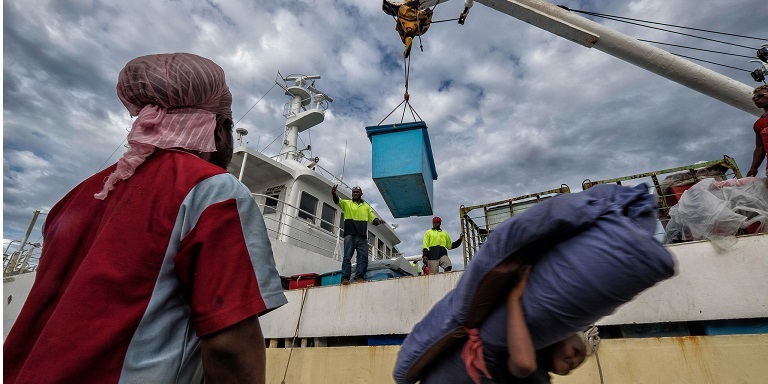 Solomon Islands has been a leader in the Pacific when it comes to implementing reforms for improving the enabling environment for the private sector to develop and grow. After joining ADB, Solomon Islands quickly got down to business. The first ADB loan, approved in 1976, invested $3.57 million to import beef cattle and to develop small cattle ranches. In the subsequent decades, ADB and Solomon Islands worked together on improving the country’s fisheries, upgrading power supplies, rehabilitating roads, and helping the country recover from conflict. From 2004, reforms to the business environment became a focus of the partnership, as ADB helped Solomon Islands develop the new State Owned Enterprise Act, which was passed by Parliament in 2007. This has helped Solomon Islands become the leading country in the Pacific region in the reform of state-owned enterprises. The average return on equity of the Solomon Islands state-owned enterprises portfolio increased from negative 11% in 2002–2009 to positive 10% in 2010–2014. Another important area of work for the partnership has been in transport, particularly roads and related infrastructure. With a mostly rural population of nearly 600,000 people widely dispersed over an extensive archipelago, transport has been a key development priority for decades. ADB has helped the country improve rural and urban households’ access to markets, education, and health services. The Second Road Improvement Project replaced or upgraded 35 major water crossings and rehabilitated and upgraded 64 kilometers of roads. These investments were climate-proofed by constructing 50 culverts to drain rainwater, erecting river training walls, and realigning river channels to minimize future risks. Local communities were enlisted to maintain the road. In 2016, ADB and the Government of Australia extended a total of $48.8 million for the Sustainable Transport Infrastructure Improvement Program. This is ADB’s first results-based program in the transport sector in the country and will help maintain vital infrastructure. ADB has also been active in responding to disasters in Solomon Islands. After floods hit the country in 2014, ADB quickly disbursed a grant of $200,000 from the Asia Pacific Disaster Response Fund to help restore communication services and roads. In the years ahead, ADB will continue its role as the lead development partner for the transport sector, and will help Solomon Islands build an investment- and business-friendly environment. Asian Development Bank (ADB). 2017. Together We Deliver. Mandaluyong. ADB. 2016. Bhutan: New Pathways to Growth. Mandaluyong. ADB. 2016. Reforming State-Owned Enterprises. Pacific Private Sector Development Initiative. Sydney: Pacific Liaison and Coordination Office. World Bank. 2017. Long-Term Economic Opportunities and Challenges for Pacific Island Countries. Pacific Possible series. Washington, D.C.: World Bank Group. She has been with the Asian Development Bank for over 15 years. She joined the Pacific Department as the Regional Director for ADB’s Sydney’s office in June 2016. The office’s key responsibilities include acting as the country office for Nauru, Solomon Islands, and Vanuatu; serving as the Pacific Department’s sector division on financial sector and private sector development; and being a focal point for ADB’s relationships with Australia and New Zealand.